Michael Grant is a community activist who was born and raised in Rockland County and is now serving his second full term in the Rockland County Legislature. Michael attended local schools and graduated from North Rockland High School in 1975. He attended the State University of New York College at Cortland and received a Bachelor of Arts Degree in Political Science with a concentration in public administration. In addition, Michael minored in American History and completed a certificate program in Business Management. Legislator Grant was first sworn in to office on January 6, 2005. Since then, Michael has been elected to the Rockland County Legislature three times by the voters of District 2. In 2013, Legislator Grant completed his seventh term as Majority Leader. He serves as chair of the Government Operations Committee and is a member of the Budget & Finance, Economic Development and Planning & Public Works Committees as well as the Special Committee on Transit. Michael also serves on the Rockland County Solid Waste Management Authority and is Chairman of the Board of Electrical Examiners. 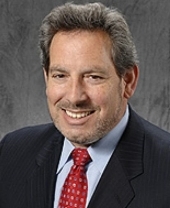 In 2011, he co-chaired the Rockland County Legislature's Special Committee on Redistricting and was the Legislature's Liaison to the County Comprehensive Plan Task Force. Michael Grant got his start in government in 1986, when Mayor Edward P. Zugibe appointed him as West Haverstraw's Village Treasurer. He also served as the Village's representative to the Rockland County Community Development Consortium. During his fourteen-year tenure with the Village, Michael was responsible for authoring several important grants and obtaining funding for a variety of projects, most notably the West Haverstraw Community Center. Michael is a former Haverstraw Town Councilman. He first took office in January 2001 when he was appointed to fill a vacancy. He was subsequently elected in November 2001 to fill a two-year unexpired term and again in 2003 for a full four-year term. During his tenure on the Haverstraw Town Board, Michael and his colleagues tackled many issues including the Letchworth Village re-development project, the police force consolidation plan, the closure of the town's landfill, and the impact of major property assessment issues. In addition, Michael and the Board oversaw the expansion of recreation facilities at Bowline Park, as well as, the multi-million dollar renovation of the Philip J. Rotella Memorial Golf Course in Thiells, N.Y.
As a Town Councilman, Michael also served as Police Commissioner and on a variety of town commissions and committees. Committee assignments included: Parks and Recreation, Urban Renewal, Diversity, Sanitation and Emergency Services. For over two decades, Michael Grant has played an active role in the community. In addition to his participation in local government, Michael is First Vice-Chair of the United Way of Rockland County and an active member of the North Rockland Rotary. Michael is a former Trustee of the Haverstraw King's Daughters Public Library, a past board member of the Rockland County Girl Scout Council and a former Vice President of the Arts Alliance of Haverstraw. He is a graduate of both Leadership Rockland and the Rockland County Citizens Police Academy. In 1991, Michael helped found the North Rockland Youth Recreation Program, Inc. where he served for eleven years, three as Co-President. Michael is employed by Orange and Rockland Utilities, Inc. Since 1982, he has worked in positions of increasing responsibility and currently is Senior Manager – Public Affairs for the company's Central Division encompassing 21 communities in southern Orange County, New York and northern Passaic County, New Jersey. During his career at O&R, Michael has served on the Company's Community Investment Committee and Multi-Cultural Advisory Board. A lifelong Haverstraw resident, Michael is the son the late Mary Zippilli Grant and John T. Grant of Thiells. Michael's father was Rockland's first County Executive and served five times as Chairman of the Rockland County Legislature. Michael and his wife, Cathy, have been married for thirty-one years and reside in Garnerville with their twins, Caitlin and Adam.